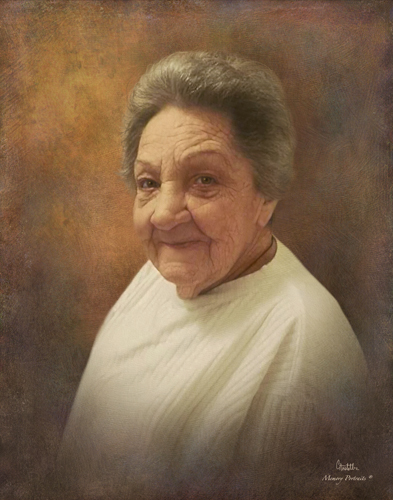 Obituary for Jewell Shepherd Thompson | Arehart-Echols Funeral Home, P.A. Jewell Shepherd Thompson, 89, of Charles County, Maryland, passed away peacefully on Sunday, August 19, 2018. Born on February 15, 1929 in Fredericksburg, Virginia, she was the daughter of the late Kostka S. Jameson and the late Elizabeth G. Wingate. She married the late Elmer M. Thompson on November 24, 1956, and would spend 50 years as his wife, partner, and best friend until his death in 2006. Known by Nanny to some, and Momma to many, Jewell found great joy spending time with her loved ones. Jewell hoped to be remembered as a good mother and a good grandmother, both of which she far exceeded while on this earth. During the summer months, one could find Jewell tending to her garden and feeding her hummingbirds. An excellent baker, Jewell was known for her famous lemon pound cake and lemon lush dessert, and would find any opportunity she could to gift someone homemade baked goods. Family and friends will always remember Jewell as quick witted and wise, always ready and willing to share advice and guidance. In addition to her father, mother, and beloved husband, Jewell was preceded in death by her sister, Mary E. Lanza; and brother, Stanley W. Jameson. Jewell is survived by her loving daughter, Marybeth (Mark) Scott; son, Mark Thompson; granddaughter, Juliana Davis; grandsons, Matthew (Kimberly) Davis and Benjamin Thompson; nephews, Rick Lanza and Stan Jameson Jr.; and cousin, Shirley Wilson. The family would like to extend a special thank you to Gurley Walker of the Network of Care and to the nursing staff at the St. Mary’s County Nursing and Rehabilitation Center, all of whom provided loving care and comfort to Jewell. Please join the family and share stories of remembrance at the Arehart-Echols Funeral Home in La Plata, Maryland. Visitation will be held on Wednesday, September 12, 2018, from 6:00 p.m. to 8:00 p.m. Funeral services will be held on Thursday, September 13, 2018, at 11:30 a.m. Inturment will follow on Thursday, September 13, 2018, at 1:00 p.m. at Cheltenham Veterans Cemetery in Cheltenham, Maryland.